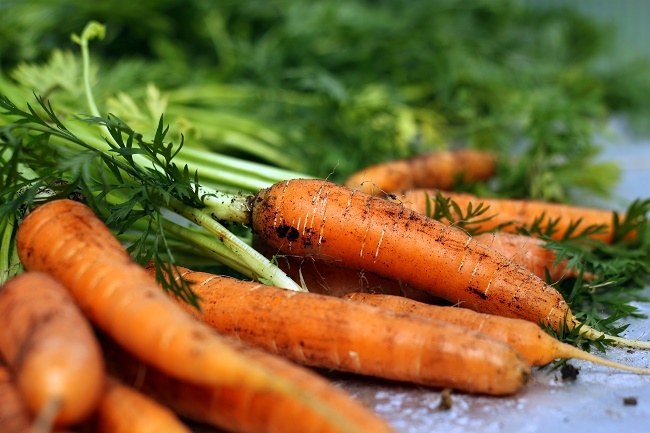 The edible carrot is a hardy biennial vegetable, although it is cultivated as an annual. It is grown for its orange/red tap-roots which are used mainly as a vegetable, and also raw in salads. By successive sowings in the open and by the use of cloches and frames, young tender carrots can be harvested throughout the year. 1. Short-rooted, with a cylindrical or almost spherical root. 2. Intermediate-rooted with a medium length, blunt-ended cylindrical or tapering taproot. 3. Long-rooted, with a long tapering, sharply pointed root. Short-rooted varieties are best used as an early or forced crop and will be ready for lifting approximately 14 weeks after sowing so make sure that the date is added either to the plant identification labels or your crop diary. 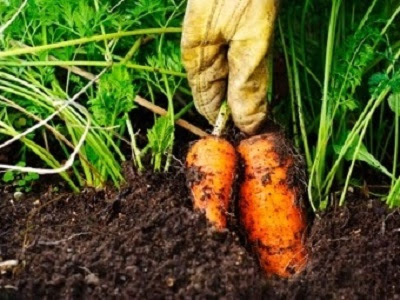 Short-rooted, early carrot cultivars can be can be harvested as soon as they have reached your desired size. From then on they can be lifted as required for several weeks after. Main crop carrot varieties are harvested from the middle of October onward. Late main crops carrots will be a couple of weeks later. Use any split or damaged roots first and store the health roots for use through the winter. Clean off the soil and cut the foliage back by approximately 1/2 from the top of the crown. Pack the rots in an outdoor clamp, or in layers in deep boxes of sand kept in a dry, cool, frost-proof shed or cellar. WHEN DO YOU HARVEST PARSNIPS? WHICH ARE THE BEST BLUE-FLOWERING HYDRANGEAS? WHY ARE MY SUNFLOWERS DYING?